Yes, you can legally file for bankruptcy on your own, you can usually find the forms online and in do it yourself workbooks that you find at the bookstore. You can even legally represent yourself in bankruptcy court. But just because you can, doesn’t necessarily mean you should. 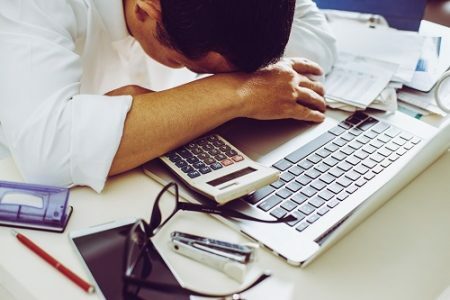 In most cases, the time you spend researching the law, filling out the forms and taking time off for work to be in court is small in comparison to the costly mistakes you may make by not hiring a competent bankruptcy attorney. The books and forms may make it appear to be a simple enough process, and it may look like you will be saving money by not hiring an attorney. But the truth is, laws are complicated, and it is highly likely you will miss something or make a mistake that may cost you your home or assets. The price of hiring a bankruptcy attorney is worth it for not having to learn aspects of the law that he or she is already familiar with. It’s nice to have someone in your corner who knows how the process works and can guide you in what to expect next. A qualified Houston bankruptcy attorney can give you advice based on your personal situation. That’s not something you can get from a form you find online. Do yourself a favor and pay the nominal fee that is required for a simple bankruptcy and save yourself the worry of having to do it all on your own.